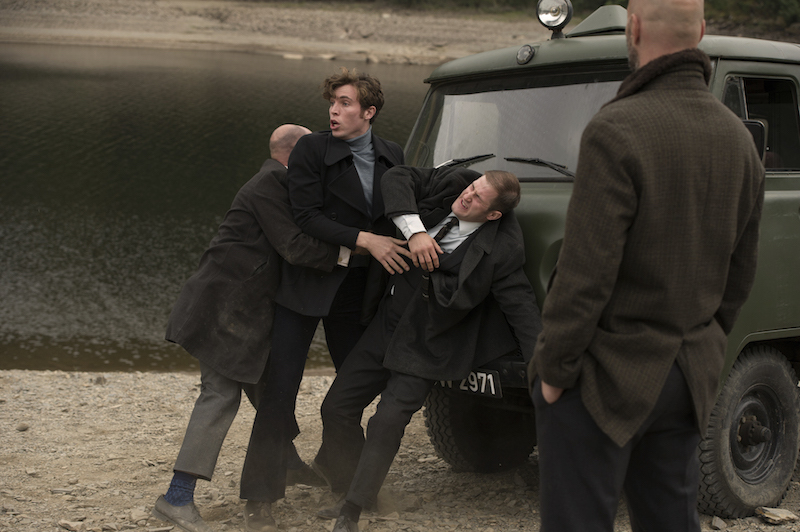 Spy thrillers are nothing new to television, let alone tales of British espionage during the Cold War. We’ve been watching those stories since before Alec Guinness stepped into the role of George Smiley in the 1979 miniseries “Tinker Tailor Soldier Spy,” and what BBC America’s new drama “The Game” proves is we’ll be watching them long after, say, this fine miniseries is adapted to an even better feature film. While it would be easy to draw formal comparisons between the two programs — both are period-set miniseries, though “The Game” does aim to continue on for more seasons — the more recent BBC show draws more heavily from Thomas Alfredson’s Oscar-nominated version of this decade than the Guinness adaptation. More to the point, it borrows much from John le Carre’s original novel, even if it’s given the sheen of a shiny new show. 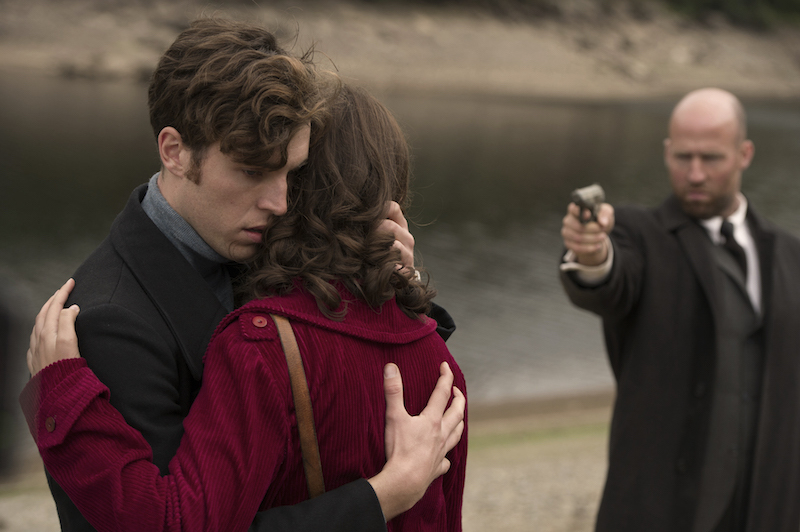 Created by Toby Whithouse, “The Game” follows Joe Lamb (Tom Hughes from “About Time”), an MI-5 agent working to protect the U.K. during the Cold War while simultaneously chasing down his true love’s killer. Joe, a flat-faced but emotive young man, meets with a small group of the nation’s top spies, lead by the cheekily-named “Daddy” (Brian Cox), in a brown room tinted with shadows and deception. Most of the players are loyal to their leader, defending him from attacks and providing him with information kept secret from the rest of the group. One exception occurs early in the first episode when one spy says bluntly to the room that someone seated around the small table may be providing information to the KGB. The parallels become all-too-familiar. Daddy is Control, played by John Hurt in the “Tinker Tailor” film. Joe is George (Gary Oldman) while an all-too-suspicious and power-hungry agent named Bobby (Paul Ritter) is stepping in for Percy Alleline. Joe/George is Control/Daddy’s favorite agent, even if his motives are questioned by the other agent. Joe is on a similarly personal mission as George, seeking answers to a problem long haunting him while still working to get the job done. It’s easy to look over these similarities with a story as well-orchestrated as this, especially with a well-cast and capable crew running point. Hughes strikes the difficult balance of being both stoic and restrained, hinting at the emotions boiling beneath the surface, without overacting and ruining the experience. Ritter makes a nice foil to Hughes’ silent, secret agent by being all-too-demonstrative as the out-without-being-outed second-in-command to Daddy, Bobby Waterhouse. His Bobby is a mama’s boy with designs for his family, but he’s not without loyalty to king and country. Finally, holding the group together, we have the always-formidable Brian Cox lending his commanding presence to a character whose name — Daddy — would otherwise be damning to drama with such high aim. Yet underneath the shiny exterior before us is the skeleton of a story already told (thrice). What makes “The Game” relevant now is coincidentally the same thing keeping “Homeland” afloat in its fourth season. Both shows are not blindly going about their missions. They’re asking whether or not they should be executing these missions in the first place. In le Carre’s stories, there’s so much in-fighting and suspicion, no one slows to ask if what they’re doing still matters — but it absolutely does because they, more than the rest of the country, know the perils of the Cold War raging around them. Meanwhile “The Game” takes a new tactic, asking at times if the silent war is silent for a reason — It’s all made up — orchestrated by the spies themselves as a result of their constant secrecy and questionable ethics. Perhaps a more effective comparison than “Tinker Tailor Soldier Spy,” or even “Homeland,” is “The Wire.” While “The Game” is far from a broad analysis of Britain’s socio-economic construct, it does analyze what was at the heart of David Simon’s first season. Is it all in the game, or is the game the only reason people play? READ MORE: Brian Cox Talks ‘The Game’ and the History of TV Writing, from the U.K. to the U.S.A.